We have all heard the horror stories about huge mortgage penalties. Like the time your friend wanted to refinance her home so that she could open a small business only to find out that it was going to cost her a $13,000 penalty to break her mortgage. This should not come as a surprise. It would have been in the initial paperwork from the mortgage lender and seen again at the lawyer’s office. A mortgage is a contract and when it is broken there is a penalty assessed and charged. You will have agreed to this. The institution that lent the money did so with the expectation that they would see a return on that investment so when the contract is broken there is a penalty to protect their interests. If you think about it, there is even a penalty to break a cell phone contract so the provider can recoup the costs they incurred so it stands to follow that of course there would be a penalty on a mortgage. The terms of the penalty are clearly outlined in the mortgage approval which you will sign. The onus is on you to ask questions and to make sure you are comfortable with the terms of the mortgage offer. 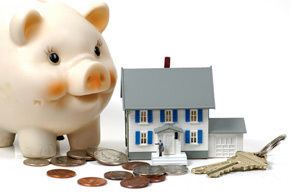 With so many mortgage lenders in Canada, you can very easily seek out other options if needed. There are two ways the mortgage penalty can be calculated. 1. Three months interest – This is a very simple one to figure out. You take the interest portion of the mortgage payment and multiply it by three. For instance: Mortgage balance of $300,000 at 2.79% = $693.48/month interest x 3 months or $2080.44 penalty. In Canada there is no one size fits all in how the IRD is calculated and it can vary greatly from lender to lender. There can be a very big difference depending on the comparison rate that is used. I have seen this vary from $2,850 to $12,345 when all else was equal but the lender. You will be assessed the GREATER of the 2 penalties. Given that 6/10 mortgages in Canada are broken around the 36 month mark, wouldn’t it be better to find out before you sign how your mortgage lender calculates their penalty just in case? ?…and the best way to get more information is to contact you local Dominion Lending Centres mortgage professional. Thanks to DLC’s Pam Pikkert for this article. Although going through the pre-approval process is important, the actual term ‘pre-approval’ is often misunderstood. An important point to be clear on is that while you may be pre-approved for a certain mortgage amount, there are several variables that can derail a final approval once you write an offer on a property. As such it is imperative that offers include a condition (or ‘subject’) clause along the lines of ‘subject to receiving and approving satisfactory financing’. This is arguably the single most important clause in a contract (an inspection being a close second), because without the financing, how will you complete your purchase? The pre-approval process should be considered more of a personal pre-screening process than anything. It should include a lender review of a current credit report and review of all required income and down payment documents. You should have a clear understanding of the maximum mortgage amount you qualify for along with clarity on the various related costs involved in your specific transaction. Ultimately the property forms a significant part of a mortgage approval, and so until an offer is written on a specific property, no true approval can be offered. Furthermore, government changes to lending guidelines and policies can render a pre-approval invalid just a few days later, without warning. Pre-Approvals are not always grandfathered when the lending rules change. So yes, request a pre-approval, as it gives you a good idea as to your maximum mortgage amount and locks down a rate for you. Always a worthwhile endeavour. It may also allow you to address a few smaller issues with ample time prior to writing your offer. Small issues today can be big issues when in the middle of a live transaction. Bottom line, please be aware that aside from these key advantages, a pre-approval is not a guarantee of mortgage financing. According to a recent Genworth Canada First-Time Homeownership Survey, first-time homebuyers in Toronto and Vancouver tend to have higher down payments than buyers in other parts of the country. That is due partly to larger savings of buyers in those areas, but also to larger gifts and loans from family. For more tips on creative ways to save for a down payment go to www.homeownership.ca and speak with your Dominion Lending Centres mortgage professional. Thank you to Marc Shendale- Genworth Canada for these tips! Thanks to DLC’s Michael Hallett for this information.